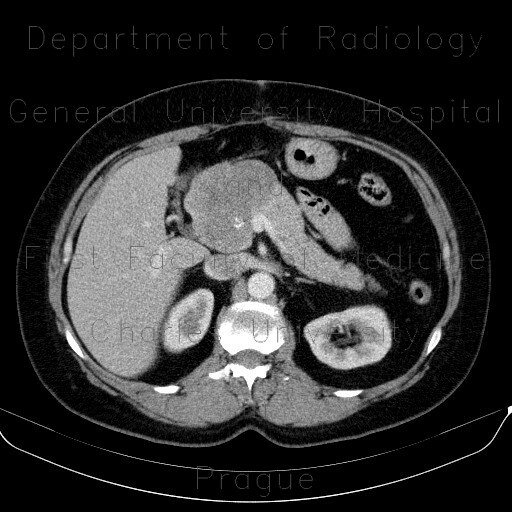 CT shows a well-defined round mass in the head of pancreas that is hypodense to the rest of the pancreas. It contains coarse calcification in its middle, which is a typical feature of carcinoid. On ultrasound, the mass is hypoechoic with a hyperechoic center due to calcification.